Lighting-Gallery-net - high pressure sodium/Sylvania Lumalux from April 1977 pretty old! Sylvania Lumalux from April 1977 pretty old! Early lamp, even though it's pretty non descript compared to position restricted GEs and sapphire arc tube Westys of the era. Not as old, but years ago, I found a Philips Westinghouse Ceramalux 250w at the old farm store where this came from. Pondered buying it but didn't. Wish I had. Was in the area last summer, and tried to go back to that store, but couldn't catch them open, and it almost looked like they were out of business. Nice! 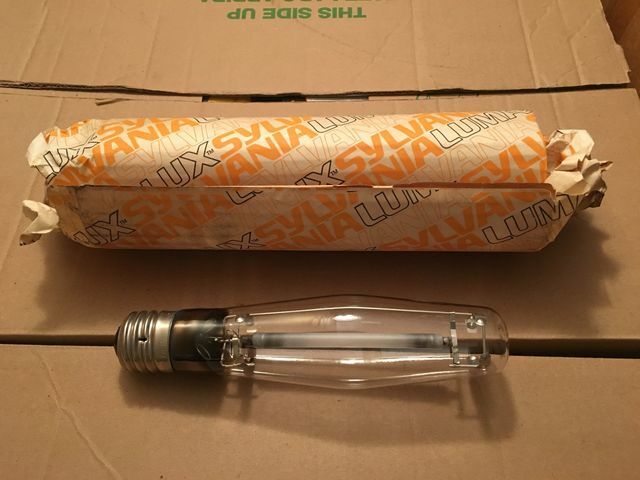 I got a few Sylvania 70W BT25s with this style package and a red "lumalux" package.